On Thursday, April 9th, I will be reading at the long-running series, "It's About Time" in Ballard. I look forward to sharing the mic with local writers Larry Crist and Vera Shanti Giles as well as a craft talk on structure by Waverly Fitzgerald. I will be reading some new work on motherhood and an excerpt from recently honored "A Grief Unraveled." For more information on the readers and the series, visit the event page. Join writers and artists from across the state to celebrate the exhibit, "A Celebration of Washington Artists," with a reception on Friday, September 7th. The reception takes place at the Washington State Convention Center on the 2nd floor from 5:30-8:30 p.m. I am fortunate to be reading with a fabulous collection of writers. The readings will take place from 7:30-8:30 p.m. in the North Gallery on the 2nd floor. On Saturday, March 26th, I shared the stage with fourteen Western Washington writers of fiction, nonfiction, and poetry. The readings were moving and powerful, and I was honored to be part of the event, which was the culmination of the 2011 Artist Trust EDGE program. Visit the 2011 Edge Writers site for more information about the writers, including upcoming events. Thank you to The Elliott Bay Book Company for hosting the event. 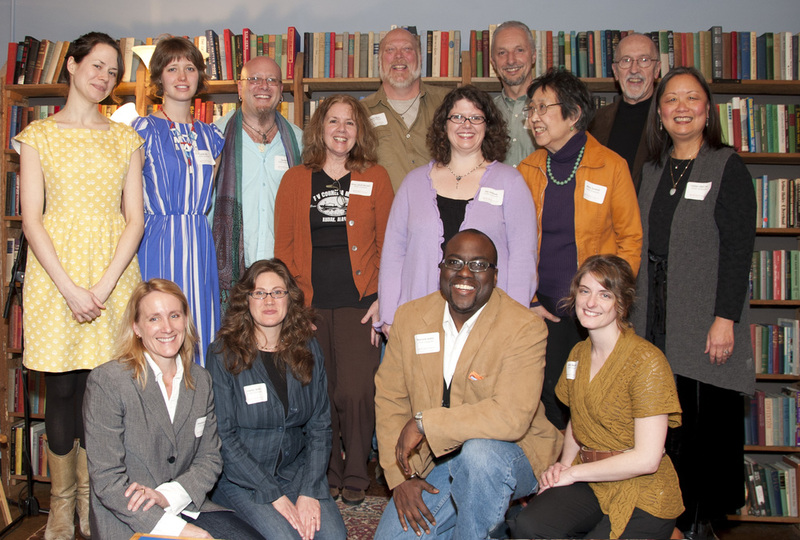 The Elliott Bay Book Company hosts the Final Presentations for the Artist Trust Edge Professional Development Program on Saturday, March 26th, 1:00-4:00 p.m. The EDGE Program offers artists a comprehensive survey of professional practices through a hands-on, interactive curriculum that includes instruction by professionals in the field, as well as specialized presentations, panel discussions and assignments. Join me to celebrate this amazing group of writers!